The defendant let the police, who were looking for another man, into the house. A cannabis-grower used electricity to the tune of £100 after his meter was by-passed, a court heard. Burnley magistrates were told how police were at Zoromskis Gedas' home looking for a different man, with the defendant having let them in. When they looked around, they saw some cannabis plants. Gedas was given a fixed penalty notice for the cannabis, but not the electricity offence. Mrs Alex Mann, prosecuting, said: "The defendant said he didn't know the meter had been by-passed." The defendant, of Pine Street in Nelson, admitted abstracting electricity on January 13th. 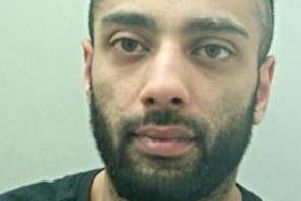 He was given a 12-month conditional discharge and must pay a £20 victim surcharge and £85 costs.